(individually and collectively the "Contractor"). provide motion picture recording with industry standard high quality camera equipment along with creative input. The term of this Agreement (the "Term") will begin on the date of this Agreement and will remain in full force and effect until the completion of the Services, subject to earlier termination as provided in this Agreement. The Term of this Agreement may be extended with the written consent of all Parties. In the event that either Party wishes to terminate this Agreement, that Party will be required to provide 10 days written notice to the other Party. For the services rendered by the Contractor as required by this Agreement, the Client will provide compensation (the "Compensation") to the Contractor of a fixed amount of $225.00. A deposit of $112.50 (the "Deposit") will be payable by the Client. Invoices submitted by the Contractor to the Client are due within 2 days of receipt. The Contractor will be reimbursed from time to time for reasonable and necessary expenses incurred by the Contractor in connection with providing the Services under this Agreement. Confidential information (the "Confidential Information") refers to any data or information relating to the business of the Client which would reasonably be considered to be proprietary to the Client including, but not limited to, accounting records, business processes, and client records and that is not generally known in the industry of the Client and where the release of that Confidential Information could reasonably be expected to cause harm to the Client. The Contractor agrees that they will not disclose, divulge, reveal, report or use, for any purpose, any Confidential Information which the Contractor has obtained, except as authorized by the Client or as required by law. The obligations of confidentiality will apply during the term of this Agreement and will end on the termination of this Agreement. All intellectual property and related material (the "Intellectual Property") that is developed or produced under this Agreement, will be the sole property of the Client. The use of the Intellectual Property by the Client will not be restricted in any manner. or to such other address as any Party may from time to time notify the other. Except to the extent paid in settlement from any applicable insurance policies, and to the extent permitted by applicable law, each Party agrees to indemnify and hold harmless the other Party, and its respective directors, stockholders, affiliates, officers, agents, employees, and permitted successors and assigns against any and all claims, losses, damages, liabilities, penalties, punitive damages, expenses, reasonable legal fees and costs of any kind or amount whatsoever, which result from or arise out of any act or omission of the indemnifying party, its respective directors, stockholders, affiliates, officers, agents, employees, and permitted successors and assigns that occurs in connection with this Agreement. This indemnification will survive the termination of this Agreement. 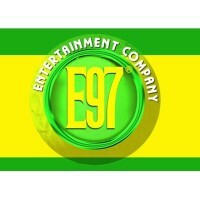 if project takes longer than planned, E97 Entertainment, LLC will compensate all parties for overtime. In the event a dispute arises out of or in connection with this Agreement, the Parties will attempt to resolve the dispute through friendly consultation. If the dispute is not resolved within a reasonable period then any or all outstanding issues may be submitted to mediation in accordance with any statutory rules of mediation. If mediation is unavailable or is not successful in resolving the entire dispute, any outstanding issues will be submitted to final and binding arbitration in accordance with the laws of the State of Texas. The arbitrator's award will be final, and judgment may be entered upon it by any court having jurisdiction within the State of Texas. The Contractor will not voluntarily or by operation of law assign or otherwise transfer its obligations under this Agreement without the prior written consent of the Client. It is the intention of the Parties to this Agreement that this Agreement and the performance under this Agreement, and all suits and special proceedings under this Agreement, be construed in accordance with and governed, to the exclusion of the law of any other forum, by the laws of the State of Texas, without regard to the jurisdiction in which any action or special proceeding may be instituted. IN WITNESS WHEREOF the Parties have duly affixed their signatures under hand and seal on this ________________ day of ________, ________.